Our client was a VA Hospital in Texas. 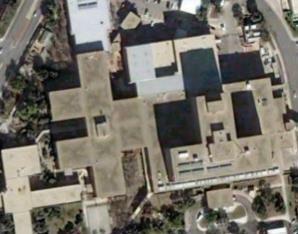 The hospital campus had roughly 700,000 square feet. The hospital spent over $3 million annually in energy in the 12 months preceding our visit. The Federal Government requires federal facilities to cut their energy usage by 30% by 2015. Our client needed to find ways to reduce energy usage. In addition, we were only budgeted 1 day onsite, so we had to be quick, and only find the largest energy savings targets. We analyzed primarily of the HVAC controls. What we did is often termed Retro-Commissioning, as we were looking for low cost controls oriented savings, however, we did investigate some retrofit measures too usually associated with energy audits. We investigated over 85 air handlers for scheduling possibilities, economizer problems, leaking valves, cold deck reset potential, and the possibility of adding variable speed drives. After the controls work, we visited most of the air handlers to ensure that the problems we found on the controls were actually there. We found more than $800,000 in annual energy savings, which was about 26% of their annual energy budget. All of the energy savings was HVAC related. The large majority of the energy savings was associated with adding variable speed drives to terminal reheat air handler units. The energy conservation measures averaged a 2 year payback, which is very good as electricity in Texas was about $0.06/kWh. The facility was able to cut their energy costs by approximately $800,000 annually.